We really love pan fried salmon and was missing eating it. As a result, we decided to try infusing and curing salmon with sake. We were surprised the likeness of adding sugar and salt to the salmon to help create flavor, and the salmon had a light sake flavor. 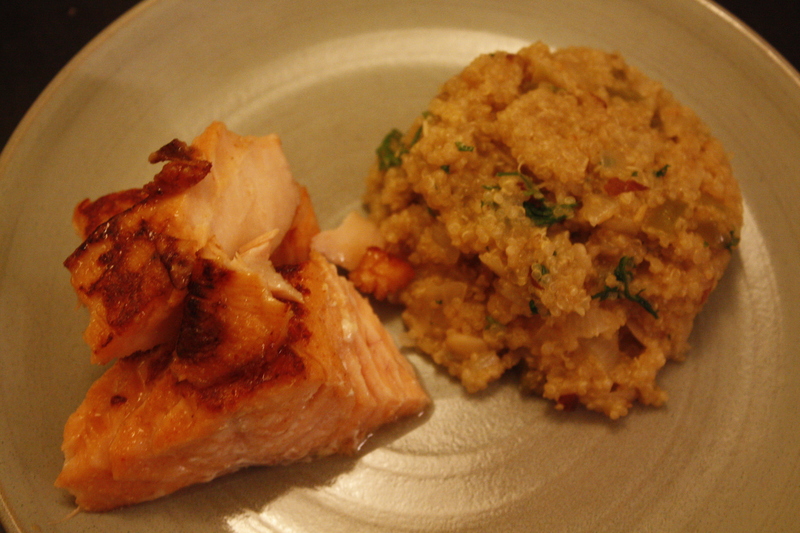 We paired this with a vegetable quinoa prepared in a similar methodology to risotto. Was it our favorite salmon recipe? The Test Kitchen’s is still the best and our go to. 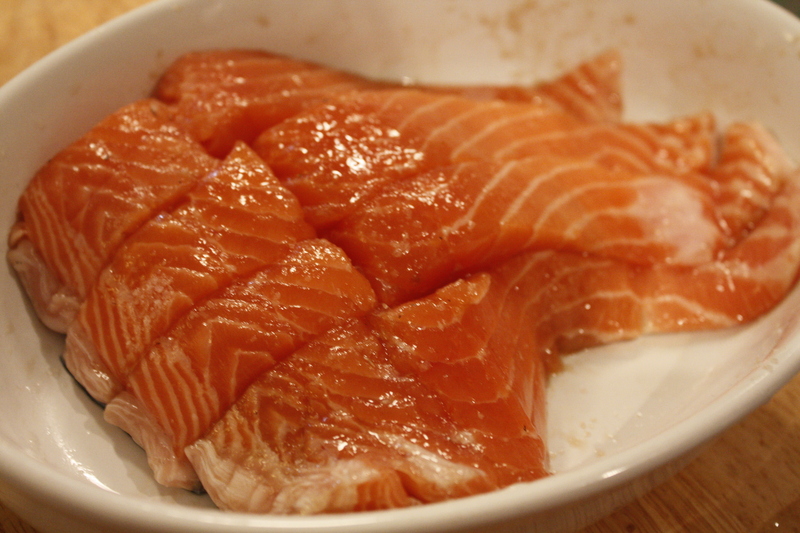 Place salmon, skin side down, on a plate. Combine 1 teaspoon kosher salt and 1 teaspoon sugar; rub salt mixture evenly over skinned sides of salmon. Cover with plastic wrap; chill 2 hours. Remove plastic wrap from salmon. Rinse salmon under cold water; pat dry with paper towel. 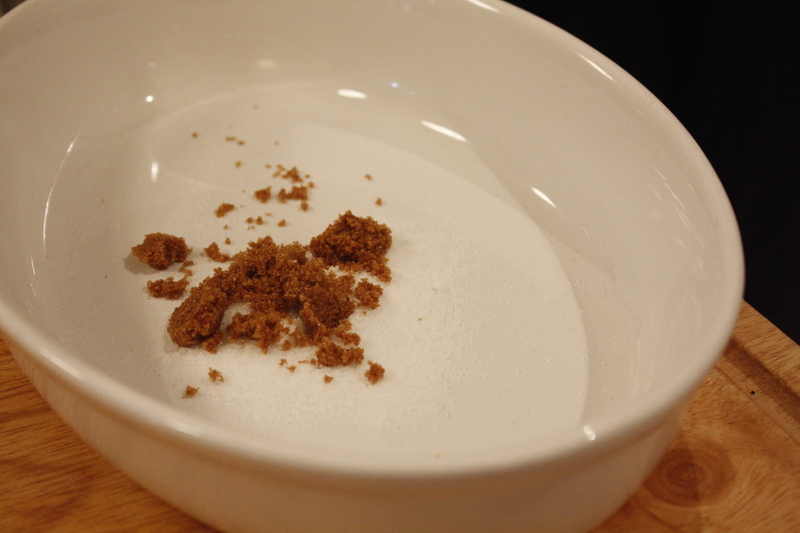 Combine 1 cup sake, remaining 1 teaspoon sugar, chili paste, and garlic in a zip-top plastic bag. Add salmon; seal and marinate in refrigerator 1 hour, turning occasionally. 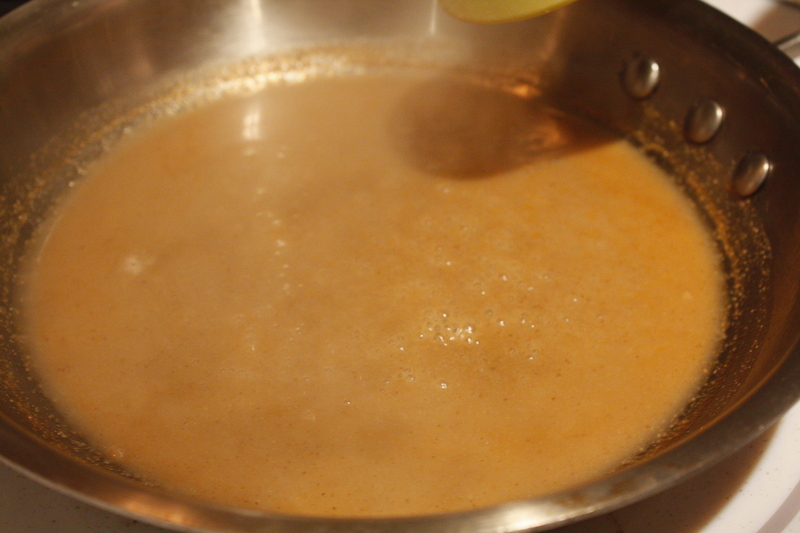 Heat butter and 1 teaspoon olive oil in a medium saucepan over medium-high heat until butter melts. Add pepper and onion to pan; sauté 2 minutes or until onion is tender. Add quinoa; cook 1 minute, stirring constantly. 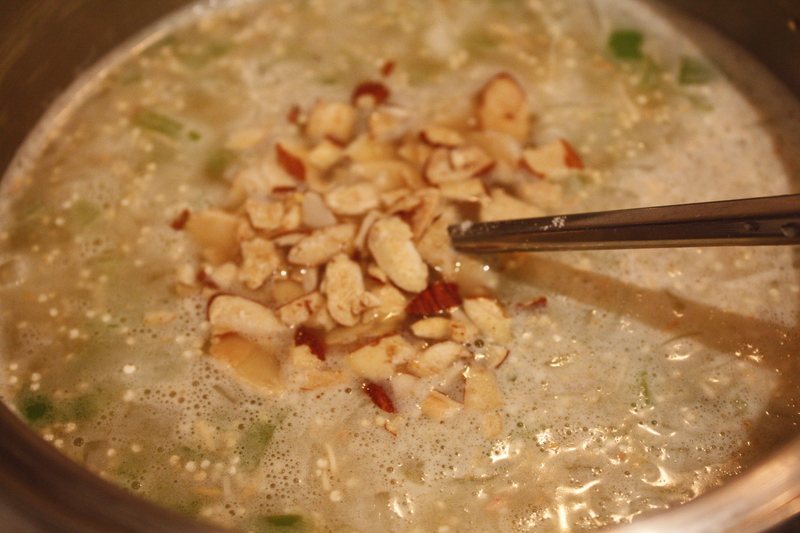 Stir in 1 cup water, remaining 1/2 cup sake, juice, and 1/4 teaspoon salt; bring to a boil. 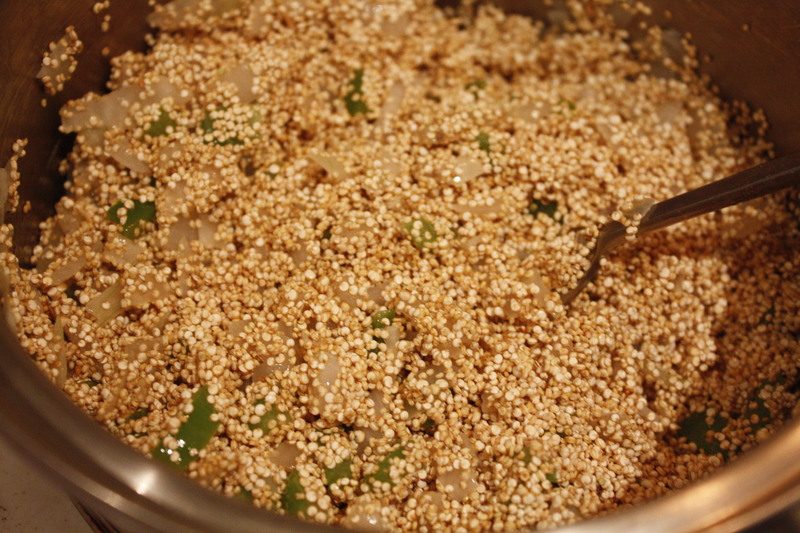 Cover, reduce heat, and simmer 20 minutes or until liquid is absorbed and quinoa is tender. Remove from heat; fluff with a fork. Stir in parsley. Keep warm. Preheat oven to 450°. Remove salmon from bag, reserving marinade. Place marinade in a small saucepan over medium-high heat, and cook until reduced to 2 tablespoons (about 7 minutes). Brush skinned sides of salmon with remaining 1/2 teaspoon oil. Heat an oven-proof skillet over medium-high heat. Add salmon to pan, skin side up; cook 3 minutes or until golden brown. Turn salmon over, and baste with reduced marinade. Place pan in oven, and bake at 450° for 5 minutes or until fish flakes easily when tested with a fork or until desired degree of doneness. Serve immediately with quinoa.